The licensed Thunderbirds are Go range from Pretend to Bee features Scott Tracy, Virgil and Alan. The green Virgil costume features a wrap-around velcro ‘watch’ to recreate the cool computer gadget Virgil sports in the programme. Alan is a red costume that includes realistic shoulder epaulettes and a padded chest suit for added effect. All three costumes feature an innovative sound chip which plays the memorable Thunderbirds countdown. Each also includes detailed print and realistic styling so boys can role-play as their favourite Thunderbird. 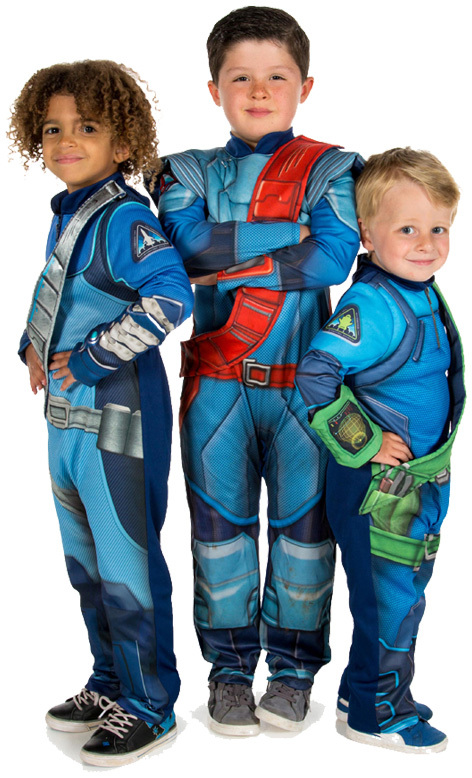 Please tell us what you think of the Thunderbirds Costumes.